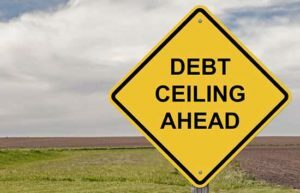 Ever since the reinstatement of the debt ceiling on March 15, 2017, five misconceptions have been circulating about how the debt limit will affect people and policies. You see, the debt ceiling could potentially trigger a catastrophe for U.S. markets. This catastrophe will be an economic meltdown that could far exceed the Great Recession. And it's crucial investors separate fact from fiction in order to protect their investments. Many have been using the term "funding gap" interchangeably with the term "debt ceiling." While they both refer to aspects of government finance, they are two very different things. By law, Congress must pass a bill to fund government agencies and operations. This is usually done through a fiscal year budget, but can also be achieved with a spending bill (like the one that prevented a shutdown last month). A funding gap happens when Congress fails to enact a spending bill or budget. The debt ceiling, on the other hand, is like the limit on a credit card. It dictates how much debt the United States can take on, in this case $20 trillion. So when we hit the debt ceiling later this year, it will not be the same thing as reaching a funding gap. Therefore, there will be no government shutdown just by hitting the debt ceiling. Hitting the debt ceiling will not cause a government shutdown. A funding gap is what causes a government shutdown. Not having a budget approved by Oct. 1 may cause a government shutdown because it will cause a funding gap (see above). On the other hand, hitting the debt ceiling will cause a default. A default would mean the United States failed to pay its debt payments and other financial obligations. This would be an unprecedented move that would shock the world markets. The only way that debt ceiling legislation can lead to a government shutdown is if it is rolled into this year's budget debate. A failed budget agreement would lead to the government shutdown, but the debt ceiling legislation may be blamed for it if the two legislations are combined. The true cause of a government shutdown would be the failure to enact funding legislation. The debt limit does not control spending. It allows the government to borrow in order to satisfy the legal obligations set forth in the yearly budget. The debt limit was initially created in an effort to streamline the debt approval system. Prior to 1917, all debt issued had to be approved by Congress as it was needed. This included the type of debt and the amount. The significance of 1917 was WWI spending. At that time, Congress set a yearly limit for each type of debt the government could borrow without having to get congressional approval for individual debt issues. In 1939 (WWII), the modern debt ceiling was created. This is where the total outstanding debt was capped instead of yearly debt issues. However, the debt ceiling does not dictate spending. It merely limits how much debt the government can take on. The budget dictates spending. Therefore, Congress must pass a budget to fund the government. Then, they must increase the debt ceiling in order for the government to borrow the necessary amount to fund the government according to the budget. A default has the potential to cripple the world economy because it would call into question whether the United States can meet its financial obligations. There has never been a U.S. government default. According to the Treasury Department, a default "would precipitate a self-inflicted financial crisis potentially more severe than the one from which we are now recovering." The most recent example of what happens when a country can't borrow occurred in Greece. The country has been unable to issue debt since 2009. During that time, unemployment has risen to well over 20%, while GDP has been cut in half. That's the kind of impact the Treasury is warning about. Not only would a default crush our economy, it would also crush the financial industry worldwide. Money Morning Capital Wave Strategist Shah Gilani explained this back in 2011. Essentially, U.S. Treasury securities are used by banks as collateral for lending and investing because they are considered risk-free. 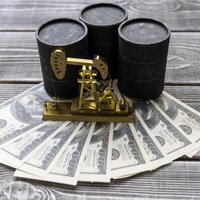 If the U.S. defaults, even for a few days, on any of its financial obligations, these bonds, notes, and bills would no longer be considered risk-free. That would mean more Treasuries would need to be put up as collateral, since they are not worth as much. That would require banks to liquidate assets in order to meet collateral requirements. Salaries, contracts, and other spending are legally binding. That means nonpayment from the government would trigger the same mechanisms as an actual default, even though debt payments are still being made. If you own a store, you can still go out of business even if you make your debt payments. Salaries, rent, and other contractual payments must be paid to stay solvent. The government is viewed the same way. While it may not be called a default because debt payments are made, that is essentially what not paying these obligations would be. But the government can't just close up shop like a store does. That means government employees are not getting paid for their work, Social Security benefits are at risk, and soldiers deployed are not getting paid. The effects would be the same as an actual default even if the failure to pay went by a different name. The world markets would lose confidence in the country's ability to pay its obligations, triggering a worldwide economic collapse. There is the huge difference between the US and Greece: Greece uses Euros. The US uses, and creates, dollars. The US can't be forced to default or run out of money to pay its obligations, any more than a football stadium can run out of points to award for touchdowns, field goals, etc. The debt ceiling is a choice made by Congress, the President, etc. Just as other laws passed are the choice of Congress (and the President), and laws are enforced at the choice of the President and executives. If President Obama had done the right thing, and minted the trillion-dollar coins years earlier, we wouldn't be in this pickle.